TURGOR! This weird word can describe you. And your plants. Turgor is the scientific word for the balance balance between pliability and stiffness or rigidity in something living. It’s created by having a good balance of water inside the cells and outside the cells, creating equal pressure and healthy, pliable tissue. Think of the plant in your house or your garden that needs water. A wilted plant has no turgor. It’s limp and dehydrated. It’s losing water out of the cells. But a well watered plant has healthy turgor. It stands up, and still has some flexibility. It bends, but it doesn’t break. Well, you have living tissues like a plant has living tissues…So you have turgor too. Just like a plant your tissues can be dehyrdated. Dehydrated soft tissues make you more susceptible to injury. You can experience this if you’ve ever experienced tight and painful skin of a sunburn, where heat damage to the top layers of the skin cells makes the proper water balance in the skin impossible. It’s like wearing a thin layer of armor, without the normal pliability of the skin. And it hurts. And just putting a shirt on can feel like you’re causing damage. Unless you are fully hydrated, get regular bodywork, and stretch on a daily basis, most people have some tissues with unhealthy turgor…That is many, many people have extreme stiffness and rigidity in at least some areas of the their body..
Here’s where it gets complicated. Some of those tissues are rigid and stiff because they’re dehyrdated. But some of those tissues are over inflated, swollen with fluids that cannot escape. Think of tight and tender muscles, swollen ankles, or the sensations of a sinus headache. Now, instead of a wilted plant, think of a large balloon or even a tire. This balloon is over-inflated, filled with air right up to its bursting point.Too much turgor pressure has made it stiff, tight, unpliable, rigid, unyielding and read to go POP! Likewise, too much stiffness in your body, especially in your spine, can put you on the edge physical failure. You’re one wrong move, one afternoon of chores away from a blown disc, strained muscle or sprained ligament. So can you have healthy turgor, and be pliable like a well watered plant? Yes, the first answer is get hydrated and drink plenty of water. But what about those tissues that are swollen with over activity? So how can you release the pressure from your over inflated balloon? Structural corrections to your spine (in the form of chiropractic adjustments) can reduce the tension that builds in your body from daily stress. Especially that unbalanced tension. Purging that excess pressure from your spine is not only great for your nerve system. But also, with the right balance of flexibility and stability (turgor) you’ll enjoy a better quality of life. The image on the left shows increased tension and stiffness in the left low back and leg, as seen in the leg length. The image on the right shows that tension and stiffness released and balanced in just a few minutes. 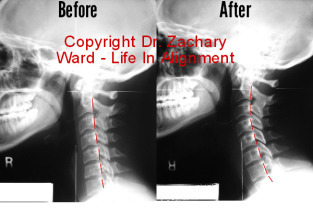 Read stories about what happens when you correct your spinal imbalance.